If you’ve had a great time on one of our tours, we’d love to hear about it! 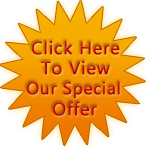 Additionally, we would love to help you share your review with millions of other potential travelers, so your opinion can be heard and considered by other people like you who are making their Maui vacation plans. 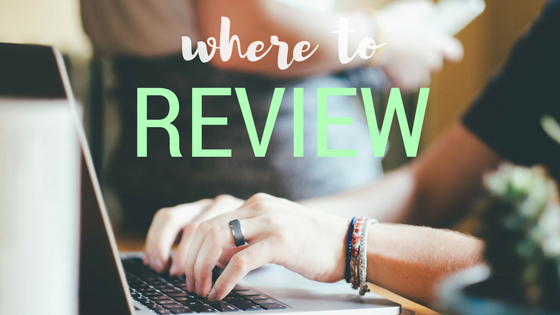 So, where should you review? Read on! TripAdvisor continues to be the gold standard when it comes to reviews for anything travel-related; hotels, landmarks, and of course, tours. Plenty of folks use TripAdvisor as their number-one source of travel research before they book anything, so you’ll be sure that your review will be seen and valued by thousands of people who want your advice. Yelp is an active community whose main focus is restaurants; however, it’s a great place to turn to for a review on virtually anything! Its nifty mobile app is location-based, and will suggest nearby eateries, activities, and more whenever you open it. Your Yelp review will not only help people who are making future plans, but also folks who are looking for something fun to do while they’re already here! Google reviews are neat, because they show up right when someone searches for something online—giving future travelers a glance into your opinion before they even click on a website! Google reviews encompass almost anything you can think of, and allow you to have your feedback considered by web-searchers across the globe. Unlike other sites, Facebook allows other users to leave comments on your reviews—giving you a chance to interact even more with people interested in Temptation Tours. You can also tag your friends and family who joined you on tour (or wish they did!) and let them add to the conversation. Yep—you’re more than welcome to leave a review right on our website, helping to confirm a potential traveler’s choice to join us on one of our incredible luxury Maui adventures. Wherever you choose to voice your feedback, just know that we appreciate it! Feel free to give us a shout-out on any and all of the above sites, or any other that we might not have mentioned! 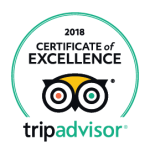 We do our best to respond to every review we see, so you know that your opinion is valued by us, our staff, our Hawaii-Certified Tour Guides, and people like you who want the very best in luxury Maui excursions. Thanks for all the stars! 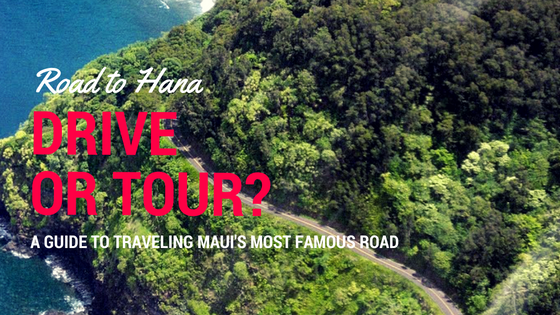 When researching your trip, talking to friends and family, and connecting with others online, you may find that a lot of people will insist that it’s best to do the Road to Hana on your own. While plenty of people take the journey on their own every day, many others prefer to sit back, relax, and let someone else do the driving. What’s the best way for you? Find out! On the one hand, if you take the Road to Hana by yourself in a rental car, you’ll have time to pace yourself, and spend the most time at the places you want to experience. You may want to try it yourself once you’ve already taken a tour, and go back and “zero-in” on the spot that was your absolute favorite. However, even if you switch off drivers, expect whoever is at the wheel to “miss out” on quite a bit of the scenery, because driving the Road to Hana takes a great deal more focus than driving other roads. Additional, the stress of navigating the road might detract from enjoying the scenery, and it’s pretty rarely a “relaxing” drive, especially for first-timers. Food in Hana is pricy, and packing a lunch can have its own challenges—especially if you get “off-schedule” and are on the road for longer than you anticipated. Finally, even with a guidebook, CD, and app, you might miss out on some interesting views, facts, and history about the world-renowned Hana Highway. Sure, if you take a tour, you may have to spend a little less time at some spots than you might normally, but having a little faith in your tour guide (especially a Hawaii-Certified tour guide) may lead you to spots you would have never knew existed! Everyone in your group will get to enjoy the scenery, accompanied by expert narration, while sitting back in a comfortable tour vehicle with an ice-cold bottled water or tropical soft drink. Meals are not a problem, either—you’ll either enjoy a sit-down lunch at an upscale restaurant (included in your tour), or a catered picnic lunch served beach-side. Need to get both you and your sweetie in your photos? Your tour guide has you covered—feel free to leave the selfie stick at home! You’ll enjoy door-to-door pick-up and drop-off service on most tours as well, so you’ll end your day feeling relaxed and enlightened—not frazzled and exhausted. All in all, it’s up to you whether you want to drive yourself or join a tour, but if you do decide to join us, give us a call, email us, or connect with us on Facebook, and we’ll take the stress out of journeying along the Road to Hana! One thing that sets our company apart—besides our Luxury Limo-Vans, delicious meals, and unique tour offerings—is of course, our Hawaii-Certified Tour Guides. But, what does that mean? Read on! When each tour guide joins our team, they embark on a comprehensive six-week training course, which embodies customer service, driving skills, plant and animal life in Hawaii, Hawaiian culture, geology of the islands, and much, much more. That’s why so many of our TripAdvisor reviews rave about how extremely knowledgeable our tour guides are! We use a special training course, developed by the State of Hawaii, that was designed to ensure all Hawaii-Certified Tour Guides are sharing the most accurate, educational, and enriching information possible with our valued guests. By the time our tour guides have completed their certification, they’re veritable experts in all things Maui and Hawaii—but they don’t stop there! Each and every one of our tour guides has a passion for constantly increasing their knowledge-base, and they all make use of our extensive company library of books, videos, and other materials about Hawaiian culture, history, and natural environment. We ensure that each guide is enrolled in local conservation and ecology classes whenever possible, and that they continue their training outside of our offices at places like the Maui Nui Botanical Gardens, Haleakala National Park, and more. 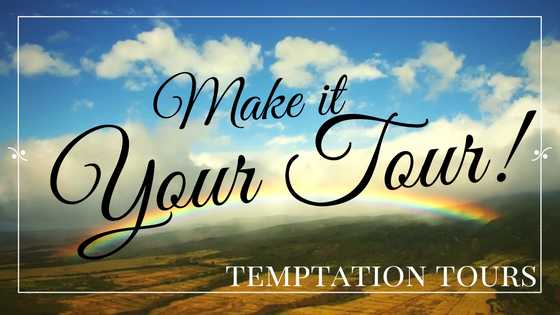 When you travel with a Temptation Tours guide, you’ll be getting more than a cheesy “Alooooha!” when boarding the van, and corny jokes along the road. You’ll be getting an in-depth experience and education about our island, and you’ll leave your tour with a new appreciation for Hawaii, its land, its culture, and its relationship to the rest of the world. Just one more reason to travel with us! At Temptation Tours, we take pride in providing a unique, customized experience for each and every guest who boards one of our Luxury Limo-Vans—and we like to think that experience begins from their first contact with us, either by phone, email, or on social media. If you’re booked on a tour with us in the future, please let us know what we can do to make it perfect for you. Read on for some of the “special requests” that we accommodate on a daily basis! If you’re prone to motion sickness, you might be a bit wary about touring the winding roads to Hana and Haleakala. Not to worry! Let us know beforehand, and we’ll do our very best to reserve the “shotgun” seat, next to the driver, in order to alleviate any motion sickness concerns. We’ll also be sure that your Tour Guide is stocked with extra ginger candy, which works wonders for upset tummies. Finally, your Tour Guide will be sure to check in with you regularly during your tour, to ensure that you’re feeling your best while experiencing the best of Maui! Gluten-free? Vegetarian? Vegan? Allergies? No problem—we’ll be sure to provide your specific requirements to our caterer or restaurant partners before your tour, so you can begin your day worry-free. Picky eaters never fear—feel free to order just chicken or just ono rather than both from our picnic lunch menu, if you prefer one over the other! Also, if you have kids traveling with you who might not love trying new things, let us know! We’ll provide your Tour Guide with a specially-packed kids’ meal that’s sure to please picky palates! Is your partner celebrating a special birthday, or are you here on a long-awaited anniversary trip? Is this trip to Maui celebrating someone in your group’s latest great achievement? Or, are you looking for the perfect opportunity to “pop the question” during your tour? Let us know when you book, and we’ll do all we can to mark this very special occasion during your tour. Whether you’d like to “buy out” a tour for just the two of you, or if you’re sharing your special moment with new friends on board, we’re always happy to help you make a moment memorable. Anything else you feel you might need during your tour? Let us know! Call us at 1.800.817.1234, email us at info@temptationtours.com, or drop us a line on Facebook! Hope to see you soon for an unforgettable day in paradise!